Put the water in the thermomix bowl and heat for 30 secs, temp 37º, speed 1. Add remaining ingredients for the Sourdough and program 10 secs, speed 4. Leave to rest for approximately 1 hour. Add all the ingredients for the bread dough to the sourdough in the thermomix bowl. Program 5 mins, jug locked, kneading speed. Leave to rest in the jug another hour approximately. The dough will finally lift up the measuring cup. 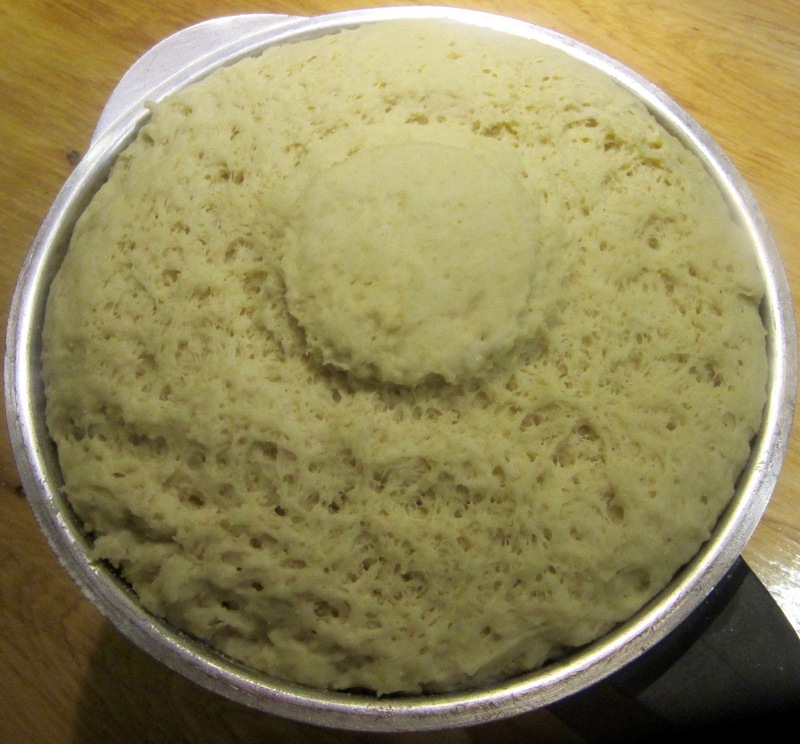 Tip out the dough onto a floured surface and work with your hands a bit to remove any air bubbles. Make balls of dough with your hands (whatever size you wish) and flatten them with the palm of our hand) one of the characteristics of these rolls is their irregular shapes, so don’t worry about them not being perfectly round). Make sure they are lightly floured on both sides. 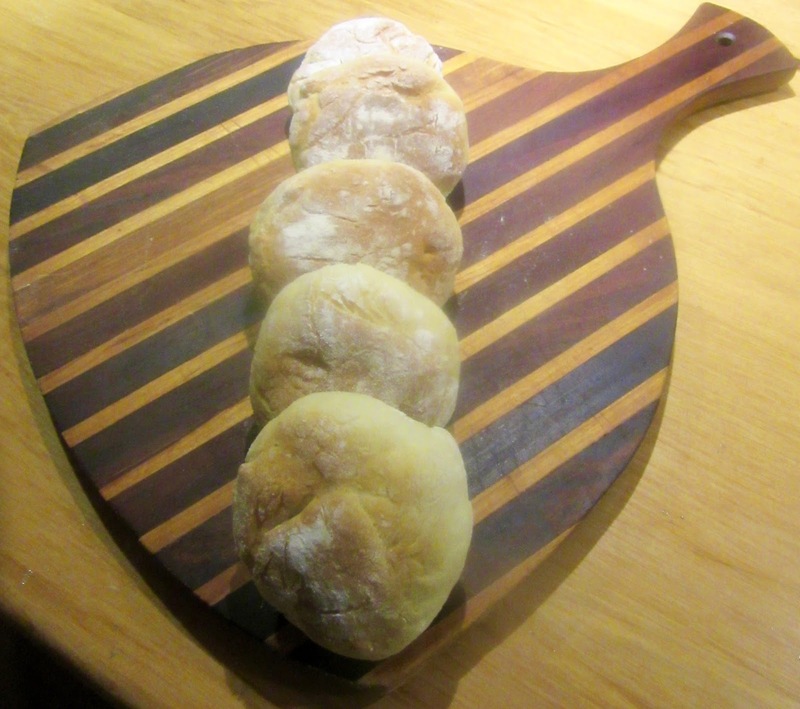 Place rolls on an oven tray lined with grease proof paper and leave to rest another hour. 15 mins before the resting time is over, preheat the oven to 200ºC. When the rolls have risen again, press each one with you fingers. Place the tray in the oven for 7-8 mins. Don’t worry, they’re not meant to be brown. They’ll be white outside but cooked on the inside. 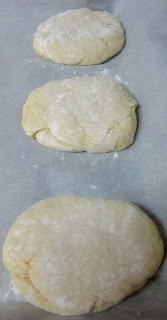 Remove from oven and cover with a clean cloth so that the rolls stay soft. Once cooled, if there happen to be any left, I just pop them in a bag and freeze them. They defrost quickly in the microwave and are lovely toasted for breakfast. The difference between this recipe and one of the Middle Ages is the flour. Unrefined flour was used in the original recipe, today we are blessed with fine white bread flour and a thermomix or food processor!